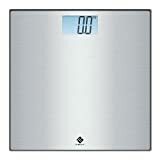 i Click 'view all' to instantly compare this good deal with offers on other top bathroom scales. 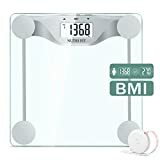 Bluetooth Body Fat Scale by RENPHO USB Rechargeable Smart Digital is currently selling at $34.99, approximately $0.29 lower than average, giving a potential saving of $1.00 right now. With a lowest price of $34.99 and an average of $35.28 it is selling on the low end of its usual range. Price volatility is 0.3% (meaning it does not change often), so the price should stay low for a while. Right now this product is a recommended 'good deal'. There is a coupon available for an additional 5% off. The current deal is also the best price on this item over the last month. 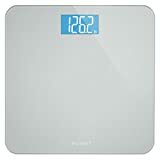 Compare the current price, savings (in dollars & percent) and Buy Ratings for the top Bathroom Scales that are closely related to Bluetooth Body Fat Scale by RENPHO USB Rechargeable Smart Digital. Here is how Bluetooth Body Fat Scale by RENPHO USB Rechargeable Smart Digital compares with other leading Bathroom Scales. RENPHO brand is devoted and dedicated to the design, development and sales of digital scale. FeaturesSmart App Syncs with Fitness Apps - RENPHO App syncs with APPLE HEALTH, GOOGLE FIT, and FITBIT APP. Millions of satisfied users11 Body Composition Analysis - Uses BIA (Bioelectric Impedance Analysis) to track Weight, BMI, Body Fat Percentage, Water %, Skeletal Muscle, Fat-Free Body Weight, Muscle Mass, Bone Mass, Protein, Basal Metabolism, and Body Age. You can even use the scale even without your phone nearby. The data will sync to the app once it is connected again!Rechargeable Internal Battery and High Quality - USB rechargeable function with a built-in lithium battery. Device features auto-calibration, high precision sensors measure up to 396lbs/180kg capacity, 5 mm tempered glass platform designed to ensure a long lasting life. 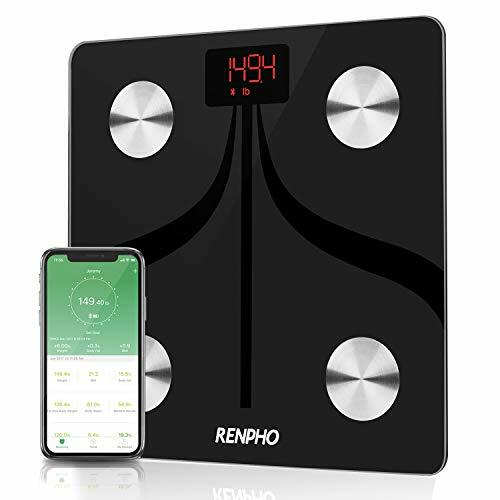 If the scale cannot wake up with fully charged, please press the reset button on the back of the device.Free App for Unlimited Users - Download RENPHO app for FREE at Apple App Store/Google Play. RENPHO App works with Bluetooth 4.0, supports Android 4.3 & IOS 7.0 or above systems. RENPHO app allows you to add unlimited user account, one scale for the whole family!